Pich Sreymom* is an 18 year old girl who was accused of being accomplice to a motorbike theft. Without the means to pay for counsel, she was afraid that her past imprisonment and criminal record would be unfairly held against her. 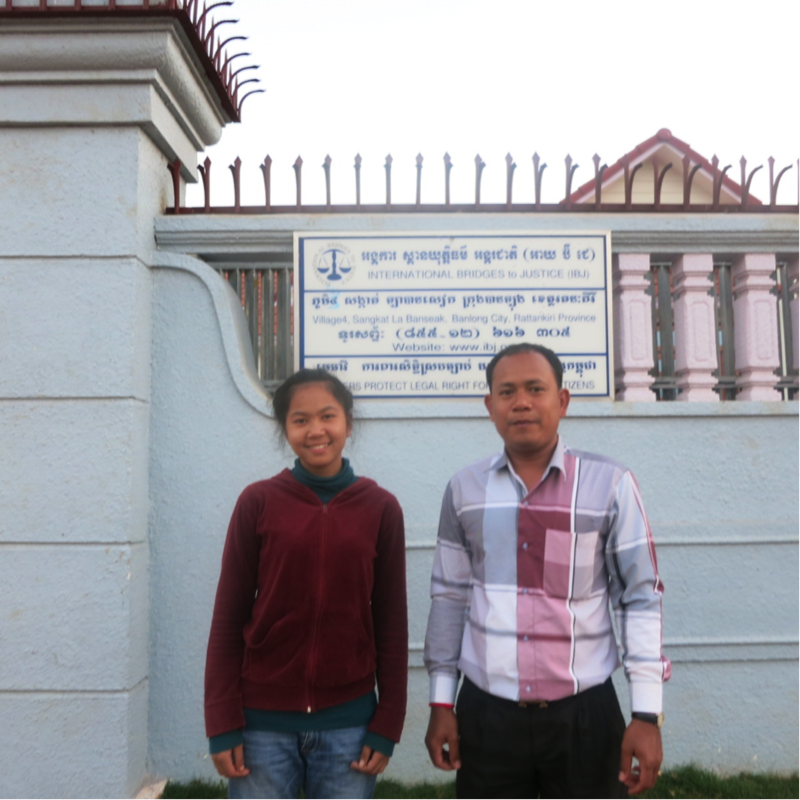 Through the intervention of the IBJ lawyer working in Ratanakiri, she obtained justice in her case. Sreymom does not have a family and lives in a guesthouse that she shares with her friend. On August 28, 2014, at 3:00 am, her boyfriend Vichet came to her guesthouse, and told her that he would go to Oyadav district to give a motorbike to his uncle and would come back the following day. In the morning, the guesthouse owner came to her and asked her where the man who had come to her room went to. After she told him what her boyfriend said, he then told her that Vichet had stolen the motorbike, and had fled. The next day, police came to the guest house and escorted her back to the police station for questioning. Sreymom repeatedly told the police that she did not steal the motorbike she was then released at the end of the interrogation. On September 2, 2014, her boyfriend came back to see her at the guesthouse. Soon after, the police arrived and arrested them. Sreymom was sent to court and accused of being the accomplice to the motorbike theft. She was interrogated by the court and then sent to prison. She stayed there for 5 months until her trial could be scheduled. During her pretrial detention, in a small cell she shared with 23 other prisoners, Sreymom learned about IBJ. When the IBJ lawyer working in Ratanakiri came to the prison to conduct one of his regular visits, she asked him to represent her case in court. The trial was held on January 30, 2015. The IBJ lawyer presented a strong case for Sreymom’s release due to lack of evidence as well as the corroborative testimony of Vichet denying her involvment in the theft. The court acquitted her of the charges and she was released on February 4, 2015.